"Content, Appearance, Functionality, Compatibility, Performance, Localization, Promotion, and Security"
The content and structure is what your website is all about, and it should be based on concrete goals and your target audience (public). With that you can define the content and content structure, and then user navigation and flows. How the content will be displayed to your public. Besides displaying content, your website can interact with users or other websites in several ways. Where your target will see your content? Does it display correctly? If your target speak more than one language, or is located in more than one country, you need to pay attention to localization of your website. Aside from Google and Bing SEO, there are several other ways to promote your website. Regional search companies may be more relevant in some countries, also, web directories listing and social networks are free options available. You can also invest money in advertising your website online and on traditional media. 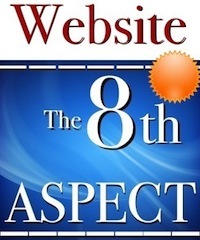 Last but most important, this aspect should make you rethink all your website. Any system has inherent security features and flaws. Your website might include several different systems and tools, that must be verified for possible security issues.